Time For A Unique Property Syndicate? Between 1995 and 2006 we managed 18 unique property syndicates. Where a number of friends, readers and colleagues pooled together resources and bought, enjoyed then resold numerous of the style of properties that frequent each Unique Property Bulletin. This stunning Grade-1 listed historic mill is on the outskirts of Alford, Lincolnshire. In addition to the mill, there is a delightful tea room (seats 40 + 16 on a covered decking area and a further 30 in the tea garden) plus a shop selling stone-ground organic flour, oats, up-market choccies and souvenirs. The tea room currently offers a wide range of chilled drinks and bean-to-cup coffee as well as cakes, sandwiches and soups. Also within this listing is the Millers cottage adjacent to the windmill. Millers cottage has two bedrooms and could be used either as accommodation for the leaseholder or as a stepping-stone to relocation in the area and then as a holiday let to offset the cost of the lease. The Old Station, is a substantial detached 3 bed residential dwelling with large commercial office space that once served as the village railway station (with stationmasters flat on the first floor). It has been modernised and converted to a commercial office space and comfortable residential dwellinghouse. The Old Station building has been sympathetically renovated while retaining many of the original features and characteristics, this property offers any prospective buyer the opportunity to purchase a substantial period property that would lend itself to any number of residential or commercial uses. Seriously, there is such an island with this name. Thirty years ago the writer of this Bulletin edition was lucky enough to visit the Island of Gigalum one beautiful summer’s day. The sea was flat calm and the small clinker built fishing boat ended up making a detour from a day’s fishing to this little green gem at the start of the Atlantic for a look-see. An amazing place. Plus beautiful views of the islands of Islay, Jura and Gigha, whilst the Republic of Ireland can be seen to the south. All from this verdant drop of sanctuary in a turquoise bed of sea. On the island there is a home – Gigalum House – built around 1980, with a central large octagonal living space, kitchen and three en-suite bedrooms. A Jetty provides easy access to the Isle of Gigha and its attractions and to coastal fishing and the next door island of Cara. 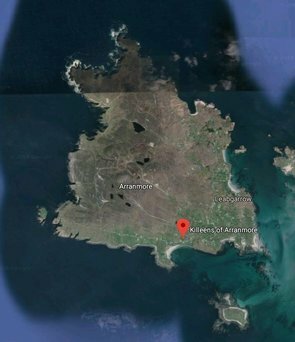 Originally Gigalum Island was placed for sale in early 2014 for £550,000, but has since had a lump knocked off – the price, not the edges of the island. Although if you look at an aerial shot you will see several lumps, or small islets that come with the main island. Technically you would be buying your own little archipelago. There may be potential for further development subject to planning consent. The island extends t approximately 19.3 acres (7.69 hectares). This may not seem Dickensian in the contemporary understanding of the word. But it is understood to have been the home of the great writer’s great-great grandson. Elm Farm originally dates from the early 1600s and has been refurbished and enlarged. The property retains period features including exposed beams and timbers, inglenook and old stock fireplaces, ledge and brace doors and leaded light windows. There are two reception rooms, an open plan kitchen/breakfast room, four/five bedrooms, two en suites and a family bathroom. There are also walled gardens and a double garage. 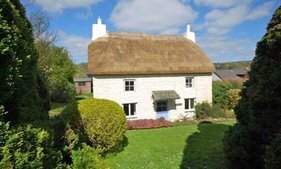 The roof has been recently thatched and the boiler was replaced approximately 2 years ago. Low Cost In Lancashire – Time To Negotiate A Little? 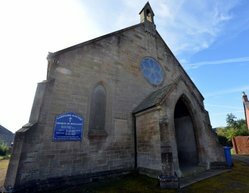 Update on an earlier Bulletin – this is a detached two storey former chapel with development potential subject to gaining the necessary consents plus additional parcel of land. 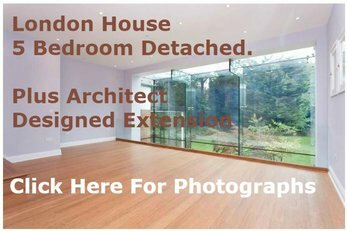 The whole of the property is offered with vacant possession. This picturesque former lock keeper’s cottage was built in 1725. The house has been carefully improved over recent years and the house retains a considerable amount of charm and character. On the south side of the property is an entrance and parking area with a garage and a wooden gate leads to beautiful cottage gardens with a winding flagstone path which passes a hand built summer house/office and leads to a flagstone courtyard at the front of the house. To the west, above the lock, there is an attractive waterside patio with raised flowerbeds.Steps lead down to a landing stage for boating. A wooden bridge gives access to another area of garden which enjoys a lovely situation overlooking the lock and the northern aspect of the property. Please note, whilst we have given Bulletin readers as much advance notice of this property as we can – posting on our Twitter Newsfeed during 11 September 2015 – Twitter: UniqueBulletin it is still being auctioned in fairly short order. However we recommend readers who have an interest in this lock keeper’s house check whether it actually sold on the day. From experience we have ended up with bargains being bought after auction on an FTSAA* basis. Long term Bulletin readers may recall we featured this building in the 1990s. After many years it is back on the sale list – but bite sized parts, at relatively affordable prices for a slice of a really nice and historic building. Dunlop House is an exceptional refurbishment of a Grade A listed building. The conversion is well advanced and will yield 9 bespoke apartments. The initial show apartment is being prepared for opening in October 2015. The estate agency selling suggests to register your interest now! Dunlop is an attractive and picturesque conservation village of approximately 1.5 miles and provides excellent local facilities, a primary school and services including a newly rebuilt railway station with an express service of 21 minutes to Glasgow. Glasgow and Prestwick Airports are about 25 minutes drive away, offering both domestic and international flights. Ayrshire is renowned for its many golf courses including Turnberry and Royal Troon. There are excellent yachting facilities at the marinas in Troon, Largs, Ardrossan and Inverkip. Ayr’s popular racecourse hosts the Scottish Grand National. The Castle at Castle Eden is attributed to architect Sir John Soane, and commissioned by the Burdon family. For sale is a Grade II* listed building of historic interest. This impressive country house stands in approximately 17.5 acres of parkland on a site with medieval origins. The superb Georgian three storey country property is located in front of the attached courtyard buildings recently converted into a select number of separate complementary houses of differing architectural styles. The winner is the first drawn from our Competition Box at close of competition on 31st October 2015. It’s strange where fate takes you. In 2010 I was lucky enough to stay at the picturesque Inn On The Lake Hotel. This waterside building had prominently featured in the television series The Lakes (clock the photo on Wikipedia – it was an exceptionally memorable day by Lake Ullswater). Anyway I just found some other photographs of that visit, but there were a couple missing. Those of an interesting old boathouse which was nearby and happened to be for sale at that time. It was a fascinating building and I was like a Labrador dug with two tales wagging at the excitement of maybe buying such a desirable place. Unfortunately when I telephoned the estate agent, the boathouse had been sold. Whilst compiling this edition of the Bulletin and remembering the old boathouse I was wondering what happened to that truly unique building. Delight of delights, it turns out to have been renovated to a wonderful standard and can now be rented for holidays. No guessing where a 2016 destination will be marked on the calendar. At the Bulletin, we are fair taken with the ethos of community and sharing on the Youtube. This delightful video presentation was filmed, edited and uploaded by Alan Starkie so others could have a look-see at how delightful this boathouse is…. Contact Lakes Cottage Holidays Tel: 0176 883 8173 – Please can you consider letting the agency know you found their details on the Unique Property Bulletin website. Thanks. IT IS PERHAPS AN IDEA TO BOOKMARK THE TWO WEBSITE PAGES FOR THE BULLETIN ON TWITTER AND FACEBOOK SO THAT YOU DON’T MISS THE REGULAR MID-BULLETIN UPDATES, ESPECIALLY FEATURING EXCERPTS FOR THE NEXT BULLETIN EDITION. The writer of this Bulletin edition just received a very welcome present. A fascinating book illustratng the evolution and building of the Halley VI Antarctic Research Station…. There is a purity of a pristine white Antarctic panorama that contrasts with this visually striking design of a project that has had to overcome so many ergonomic and environmental design requirements. This unique structure consists of 8 modules, each on skis. The Halley VI Antarctic Research Station became operational from 28th February 2012. This amazing ice station abode is the result of an architectural design challenge launched by RIBA Competitions and the British Antarctic Survey in June 2004 to provide a new design for Halley VI. Several very interesting entrants submitted proposals. The winning design was by Faber Maunsell and Hugh Broughton Architects and was chosen in July 2005. Thereafter the Halley VI structure was built in Cape Town, South Africa. Servaccomm supplied modular accommodation pods for the new station through Galliford Try International. The contract was for the manufacture of 26 pods in total, installed in eight modules. Serviced accommodation for 32 people in total. The first sections were shipped to Antarctica in December 2007. Location: Halley VI, Brunt Ice Shelf, Weddell Sea, Caird Coast, Antartica – nice address – ice address! 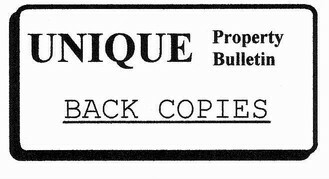 In 1995 the old fashioned paper version of Unique Property Bulletin started what was to become a regular adventure: Unique Property Syndicates. During the mid 1990s to the point where the financial crisis hit the UK 12 years later, we were lucky enough to enjoy 18 of these unique adventures. However the chilling experience of the UK banking crisis meant that these syndicates went into hibernation. Fortunately in 2011 the Unique Property Bulletin went online and has been gathering a healthy level of readership ever since. By 2014 this helped us assemble two new syndicates – Dunnet Head and then Kinfauns Tower – to the point where funding and due diligence requirements were fulfilled and we were able to make a formal legal offer. Unfortunately, and this occasionally happened in the pre-financial-crash era, the offers made were less than the final bids. Hence the recent unique property efforts have yet met with a unique property in the bag. We don’t give up that easily and have been looking for suitable candidate properties to look at for the next unique property syndicate 19 ever since. To assist with this, we are asking those with an interest in unique property syndicates to consider our quick survey and send us your views please…. Bought This. Enjoyed The Adventure. Sold Each House Separately. The Result? This Syndicate Received Over £2 For Every £1 Put In. Bought This. Enjoyed The Adventure. Saved The Ship From Scrapping (at least for several years). The Result? This Syndicate Received Over £3.24 For Every £1 Put In. We did NOT proceed to the offer stage on Ingleborough windmill, but it illustrates the type of property that is suitable. 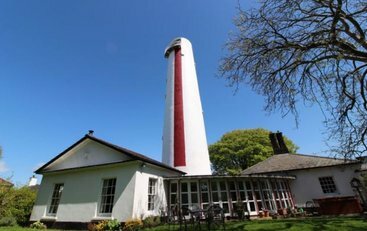 Whilst we decided not to bid on the old windmill and buildings at Ingleborough, we did go for another lighthouse compound. These are well established and relatively safe with tried-and-tested paths. A full compound of five lighthouse buildings either needs a buyer with very deep pockets to buy cash, or because there are five houses, any mortgage provider requires a huge deposit and a commercial mortgage. We have an advantage in all syndicates are 100% equity driven with no bank finance. This means we can negotiate a very competitive price. The bonus is that when the lighthouse keepers dwellings are sold individually the economies-of-scale on purchase mean the syndicate has bought each at a discount. In these lighthouse themed syndicates we have managed a resale of the individual elements at significantly higher than the buy-in price. Plus one or two syndicate members of the past have simply forgone the resale profit and bought one of the buildings for their family, thereby securing a very nice unique home at a discount, whereas it has proven very difficult to buy the whole compound and sell parts off in any other manner. Lateral thought really works for any style of property that has three or four component buildings (Ingleborough windmill was a case in point to show that it isn’t just lighthouse buildings this methodology applies to). After a few quiet years following 2006, there is now a definite defrosting of the chilled financial concerns many of us had. Alas, as happens, when we manage a syndicate we need to make sure NOT to get carried away and overpay for a property. So with Dunnet Head Lighthouse Compound we were pipped to the post and someone else ended up with this wonderful place by paying somewhat more to buy it. Undeterred, we moved to the next property. By popular demand – from a flurry of emails – we looked for a more modest property that had an entry level in financial terms which could act as a relatively safe starter point. The tower at Kinfauns filled that requirement. Four floors each at £6,000 meant we could run the syndicate as per the pre-2006 protocol. Each member owning a part. That is in the circumstances that a fairly quick resale was not secured. Most of the original 18 syndicates went the way of a resale within 6 to 12 months. With a little frustration, the tower at Kinfauns ended up being sold to a higher bidder. We believe the fact that Kinfauns was publicised in the media increased the buyer pool. So the interest in this property spiked. Our bid was raised slightly from £28,000 to the £32,500 mark. Even so, we were outbid again. Since the tower at Kinfauns we have a dilemma. There is a scarcity of smaller “entry level” unique property projects. Many newer members would like to dip a modest financial toe into the water first (£500 to £5000). This is something we encourage until folk get used to how these projects are run; how they work and importantly, whilst there is much fun and frequently a big surplus it is critical to understand that there are risks to be managed as well. So far 14 of 18 older syndicates recorded a large profit (1995 to 2006). However, with the aforementioned element of risk 2 syndicates have recorded a loss (the remaining 2 broke even). Fortunately the risk element is offset by the asset-backed nature of each adventure. But it is important to become familiar with balancing risk and reward. So what is the current dilemma? We had over 23 folk wanting to join at the £5,000 level. In addition our unique property syndicate email “alert” list is over 100 strong where we are unsure at what level folk would like to join. A key issue is for us to run syndicates in the a manner as required by the Financial Conduct Authority. Between 1995 and 2006 the rules were more “relaxed”. Since the financial crash of 2008 the rules governing many types of project, including those of the style we ran between 1995 to 2006 have been refined and updated. Rightly so, as 2008 has been painful for many. However, the new FCA rules impact on how we conduct the unique property syndicates, and we must abide by the new statutes. Either we have candidate property such as the tower at Kinfauns that each member can own a definitive part of (same goes for larger lighthouse compound or windmill projects), or we have to consider a public share issue (plc). Creating a public limited company along with a plc share issue brochure. The plc route enables smaller amounts to be put into any syndicate (£500 to £5,000 for example). This overcomes the problem that we have had in trying to find another tower style project of the Kinfauns style. However a full plc share issue – even if just for one project, still carries a fair cost in legal, accountancy, audit, RICS survey and auctioneer resale fees. Marketing costs are shouldered by the Unique Property Bulletin. Plus a little help from national press who have an interest in unusual properties: click here for an example of Unique Property Bulletin national media coverage. The subsequent publicity costs are nominal, but the plc share issue fees will add up to around £7,500. These too would also be underwritten by Unique Property Bulletin. So prior to committing to a Unique Property Syndicate plc share issue here is the big question for this Bulletin and our readers who have an interest in partaking. For those who would like to study joining the next syndicate, please can you let us know that you have an interest? Also if you could help indicate a guideline entry figure you are comfortable with, this would help? Most will be between £500 and £5,000. Though some of our established syndicate members will be wishing to look at a significantly higher number. The next Unique Property Syndicate based on a plc approach is likely to be in the £125,000 to £400,000 ballpark. If we can gauge a level of interest that slots into that total range, then it will be game-on. The next step will be to put a formal plc share document together and let folk study this to see if they would like to join in. Please note this is NOT an offer to subscribe to Unique Property Syndicates plc – but a research effort to gauge whether there is sufficient interest and at what guide levels prior to us embarking upon a public share issue for this enterprise. Folk replying are NOT obliged in any way to subscribe, should a plc share issue prospectus be published in the future. We just need to assess at what level the current interest is in unique property syndicates amongst our readers and website membership. Thank you.